The high cost of healthcare services, the aging population and the increase of chronic disease is becoming a global concern. Several studies have indicated the need to minimize the process of hospitalization and the high cost of patient care. A promising trend in healthcare is to move the routines of medical checks from a hospital to the patient's home. Moreover, recent advances in microelectronics have boosted the advent of a revolutionary model involving systems and communication technology. This new paradigm, the Internet of Things (IoT), has a broad applicability in several areas, including healthcare. 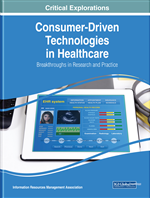 Based on this context, this chapter aims to describe a computer platform based on IoT for the remote monitoring of patients in critical condition. Furthermore, it is planned to approach the current advances and challenges of conceiving and developing a set of technology-centric, targeting issues relevant to underdeveloped countries, particularly in regards to Brazil's health infrastructure. The high cost of healthcare services, the aging population and the increase of chronic disease are becoming a global concern. Several studies have indicated the need for strategies to minimize the institutionalization process and the effects of the high cost of patient care (Hochron, & Goldberg, 2015). A promising trend in health treatments is to move the routines of hospital medical checks to the patient's home. However, the public health system in Brazil still lacks accessible technologies that facilitate the patient monitoring process in this situation (Mendes, 2010). On the other hand, recent advances in microelectronics, wireless, sensing and information have fueled the advent of a revolutionary model involving systems and communication technology, enabling smarter ways to “make things happen”. This new paradigm, known as the Internet of Things (IoT), has a broad applicability in several areas, including health. In this trend, it is estimated that by 2020 there will be around 20 billion “things” connected (Gartner, 2015) and uniquely identifiable (Gubbi et al.., 2013). These “things” promote the basic idea of IoT that is pervasive computing around this range of devices, such as RFID tags, sensors, actuators, mobile phones, etc. (Atzori et al.., 2010). It can act as the backbone of the health system for information sharing (Abinaya & Swathika, 2015). The field of health in particular is expected to see the development and application of this trend as part of its future because it has the ability to allow hospitals to operate more efficiently and patients to receive better treatment. A type of healthcare application which will be focused on in conjunction with this new paradigm is the application of mobile health. The main objective of mobile health is to allow for the remote monitoring of the health status and the treatment of patients from anywhere (López, Fernández, Jara & Skarmeta, 2013). Although they remain under health team care or are receiving regular follow-up visits, patients in home hospitalization are encouraged to perform a daily evaluation with self-monitoring of their vital signs and patterns related to their health condition (Kotsimbos, Williams, & Anderson, 2012). Moreover, although everyone receives instructions for detecting and reporting changes in the critical state for home self-monitoring, many patients find it challenging to identify the critical threshold values, i.e. the lower or upper limits of blood pressure, and recognize changes in their own personal baselines (Dabbs et al., 2009). Considering the amount of monitored data, it is hard to engage the patient in self-management; it is essential, therefore, to send this information to the care providers (Hendriks & Rademakers, 2014; Coulter, 2012).